Looks rather similar to the current design on the outside. The same article: [Microsoft Prudently Opts to Wait on New Xbox Announcement] details why the company may have opted out at this time. Unlikely as it may have seemed, Microsoft has made it clear it has no plans to announce a new Xbox at this year's E3 in June. "There will be no talk of new Xbox hardware at E3 or anytime soon," said Microsoft spokesperson David Dennis in a statement to Bloomberg. "For us, 2012 is all about Xbox 360." It's not an unexpected revelation, though it does shoot down what rumors and speculation remained about an E3 2012 announcement of the so-called Xbox 720. What's strange is that Microsoft would even make such a statement; prior to this it had repeatedly declined to comment on reports regarding the Xbox 360's successor, so to even say as little as Dennis did is a shift from what we've seen. This is, however, the right call for Microsoft to make. The February NPDs released last week show the 360 continues to excel in the United States with its 12th month in a row of 40-plus percent of the current-gen console market share. That is not entirely the result of the competition faltering; Microsoft sold 426,000 systems in the U.S. last month, which is nothing to scoff at. Its sales continue to increase at a point that systems in the past have traditionally declined, as demonstrated in the handy chart below which Microsoft was happy to share with its January NPD spin. Announcing a new platform this year, even one that launches in 2013 (as Bloomberg says it will, according to two anonymous sources), will do no favors for the 360 and provide little benefit for Microsoft. It's possible such an announcement could take the wind out of Nintendo's sails as it plans to push Wii U hard this year starting at E3, but it likely would not be worth it. This isn't another situation like this generation where Microsoft can get its system out ahead of both competitors, a move that helped to ensure it would not be trounced as the original Xbox was by the PlayStation 2. A 2013 reveal and launch would still almost certainly get Microsoft's box out ahead of the PlayStation 4; meanwhile it's unclear how well Wii U will be able to compete with those two. 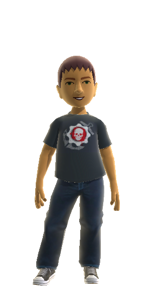 According to a 56-page document that an anonymous uploader posted to scribd.com — and has since been removed at the request of law firm Covington & Burling — Microsoft is planning a $299 Xbox 720 with Kinect 2 for a holiday 2013 release. Microsoft supposedly drafted the outline, which contains a road map for the company’s Xbox division through 2015, in mid-2010. This document’s authenticity has not been verified, but Convington & Burling LLP is Microsoft’s legal counsel. An included spec sheet for the Xbox 720 details the unit’s innards. The system will operate on six to eight ARM/Intel x86 cores running at 2Ghz with 4GB of memory. Software will ship on dual-layered Blu-rays for 50GB of optical storage. Microsoft’s new box will also feature 3 PowerPC cores for full backwards compatibility with Xbox 360 games. These obtuse specifications amount to a box that is six to eight times more powerful than the current hardware. Always-on low-processing-power functionality will also factor into the use of the system. Similar to how a set-top box from Comcast or Time Warner is never truly powered down, the Xbox 720 will be able to act as your home’s media hub by recording shows in the background. A separate dual-core cluster of chips will handle this background workload and will ensure that gaming performance is not affected. Oddly, the spec sheet lists cellular compatibility with the Wimax and HSDPA architectures. These are the mobile-phone standards used by Sprint, T-mobile, AT&T and others. Maybe the $99 Xbox 360 with a two-year contract will also come with AT&T 4G for some reason. When the Xbox 720 launches in 2013, according to this unconfirmed information, it will come bundled with the Kinect 2. An “incremental” upgrade to the current motion controller, the Kinect 2 will allow four players to simultaneously waggle at their television. It will feature a dedicated hardware processor, a more accurate camera, and a higher-quality microphone for voice recognition. Smaller apartments will also be able to get in the mix, as the Kinect 2 will be equipped to deal with spaces that are closer, wider, and deeper. Also, and here’s the megaton, Kinect 2 can be controlled by players that are sitting down. A new project, dubbed Project Fortaleza, which is basically Kinect glasses, will launch in 2014. The glasses will be a wearable computer that act much in the same way as Google’s Project Glass. The goggles will augment reality with an interactive digital overlay. Microsoft will initially pitch this as a way to enhance gameplay, but intends for a 4G cellular version to ship for every-day use by 2015. The document mentioned OnLive as a possible acquisition target. Microsoft labeled the game-streaming company as a threat with the potential to “up-end the console-gaming market by making expensive consoles and PCs unnecessary for AAA gaming.” Microsoft may choose to neutralize them by absorbing this already established company rather than creating a cloud-streaming service from scratch. We’ve contacted Microsoft to confirm if this information is real. Expect the typical, “we do not comment on rumor and speculation.” We do know, however, that Covington & Burling represents Microsoft, so the company was at least responsible for the documents removal. That does not confirm its authenticity. If this is the truth, however, it spells trouble for Nintendo and Sony. A $299 Xbox 720 with Kinect 2 and all the bells and whistles could own the living room. It may even be enough to compete with Apple. The next consumer-electronic battlefront is for the box under the TV. That’s where the majority of content is going to be purchased, and whoever owns that bridge will be able to collect a hefty toll. Still, we’ll be surprised if 100 percent of this information makes the transition to reality. The future is now next year, people! An eye-opening 56-page document suggestive of Microsoft's next-generation plans has been removed from a technology website on the grounds of copyright. Lawyers for the Xbox firm issued a takedown request to Czech Republic website Ihned.cz, claiming that publishing the "720" document was breach of copyright. It means that the article - which was written in 2010 and recommends an Xbox 720 release in 2013 at a $299.99 price point - is owned by Microsoft. Though this underlines its legitimacy, it does not mean the document itself is an entirely accurate representation of Microsoft's existing next-generation plans. The author of the work is unknown, and it may have been created by an outside agency for Microsoft, and the ideas within may not have not been approved by Microsoft executives. The document recommends that the next-generation Xbox will feature Blu-ray compatibility, a form of augmented reality glasses, an enhanced version of Kinect, and references SmartGlass technology. Many items in the doc aligns with information previously obtained by journalists. The file itself first emerged over the weekend, first hosted on document sharing website Scribd, though quickly removed at the request of Covington & Birling LLP, an international law firm that lists Microsoft as one of its clients. Scribd, which once had a poor reputation for publishing material in violation of copyright, has in recent years become far more proactive in removing such documents from its website. CVG approached Scribd to enquire on what grounds Microsoft sought to have the document removed. The company has not responded to calls for comment. In the UK, copyright law does not usually apply to information used for a news article providing that the information is deemed newsworthy and reasonable care is taken to stay within this parameter. The takedown notice, sent to Ihned.cz and republished in English on Polygon, can be found below. Next-Gen Xbox Launching In 18 Months With Skype Support? It's that time again; time to speculate about the next-gen Xbox. This time rumor has it the Xbox 720 will be released within the next 18 months, and it will support skype. These claims come courtesy of a few Microsoft job listings. The first listing is no longer listed. Luckily, Digital Spy copied the information. NEWS: Mafia 3 In Development For Next-Gen Consoles: Xbox 720 And PS4? It says, "Over the next 18 months Microsoft will release new versions of all of our most significant products including Windows (Client, Server, Phone and Azure), Office and Xbox, along with completely new offerings like Microsoft Surface." Microsoft recently clarified a quote from Microsoft manager, Brian Hall, that they claim was taken out of context. They reiterated Microsoft plans on launching a new update, not a console. Do you think these rumors have any weight? I think the next console launch of Microsoft and Sony will have the longest impact on the respective companies. If I was either company, I'd want to have a good idea of what other was doing before I made any official announcements. The "PS4" and "Xbox 720" may be the last (or next-to-last) console of either company. High stakes. Especially with how diverse in their abilities these systems are needing to be in order to warrant someone dropping $300 or more on a system. Meaning, at whatever the pricepoint these consoles end up landing, there better be some noticeable (out of the gate) amazing features included in these systems. The jump graphically between PS2 and PS3 was pretty damn impressive, (Xbox to Xbox 360, much the same although proven even more later on in the cycle). It's safe to say the bar's been set pretty high for these next gen boxes. Maybe it's called being spoiled to a certain degree, but features like Skype and Netflix don't really feel like a reason to replace the current consoles. The same goes for software like Mafia 3, (hell the first two looked interesting, but nothing to tug at the cape of a franchise like GTA). IMO, if they're going to succeed, again, these upcoming consoles have a lot to prove both in terms of software and hardware. Suffice to say, rumors are rumors, but I'm not personally looking to drop a dime at launch. ... I'm not personally looking to drop a dime at launch. Ditto. I probably own enough games to last me through the next console cycle as it is. While the platform holders have yet to announce the Xbox 720 and PlayStation 4, or whatever they will eventually be named, the likelihood is that at least one new console will arrive in 2013. Subjects matter headings: Five key features that is seen to shape and define the next generation consoles. Pretty much everything discussed already with possibly breadcrumbs of newbies. The meaning of the words 'Next Gen' is starting to lose its appeal to me! If I were to look on the bright side of things, I would have to say, Rome wasnt built in a day. Stepping stones possibly to something better. Xbox World will stop revolving come December, but it plans on going out with a bang. Specifically, the UK publication's second-to-last issue claims to have all the inside deets on Microsoft's next console. The new console's name, for instance, will be simply "Xbox," with no numerical modifiers to speak of, according to the magazine. It'll supposedly ship with a quad-core processor and eight gigs of ram, run Blu-Ray discs and will eventually support some form of head-mounted augmented reality device, in addition to a next-generation Kinect. 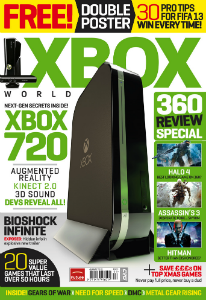 "Xbox World has been at the cutting edge of Durango coverage for over 12 months," Xbox World EIC Dan Dawkins told CVG. "Unless something really dramatic changes, everything we reveal in our penultimate issue will be revealed long before E3 in June."